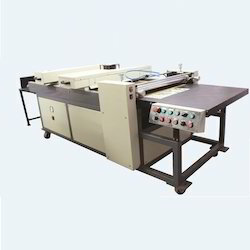 Leading Manufacturer of roller coater unit, roller coater machine, roller coater and hand feed roller coater from New Delhi. 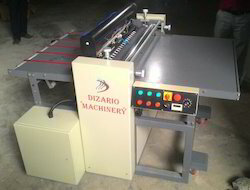 We are offering Roller Coater Unit to our clients. We provide high-quality products to our clients. 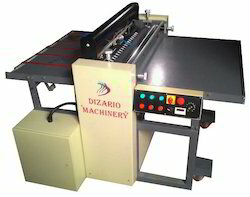 We are the leading suppliers of Roller Coater Machine. Clients can avail it at best market prices. 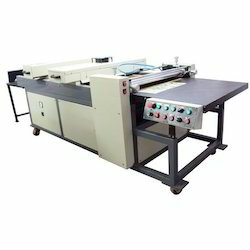 We are the leading suppliers of Roller Coater. Clients can avail it at best market prices. Separate Sheet count meter for counting sheets. Multi-Mode (70%, 100%) Running for power saving in UV lamp. We are offering Hand Feed Roller Coater to our clients. We provide high-quality products to our clients.